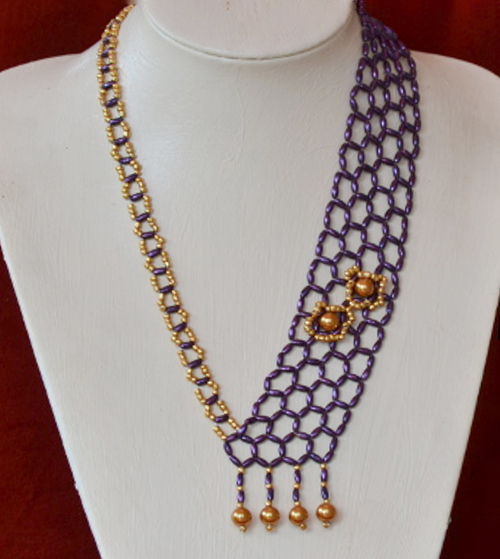 The purple pearls I used are 6mmx3mm. If you use different sized pearls or bugles you might need to adjust the length of the left hand strap. The pattern consists mainly of diagrams with bead count instructions.